Star Wars is an American epic space opera franchise, created by George Lucas and centered around a film series that began with the eponymous 1977 movie. The saga quickly became a worldwide pop culture phenomenon. The first film, subtitled Episode IV: A New Hope with its 1981 re-release, was followed by two successful sequels, Episode V: The Empire Strikes Back (1980) and Episode VI: Return of the Jedi (1983); forming the original Star Wars trilogy. A subsequent prequel trilogy, consisting of Episode I: The Phantom Menace (1999), Episode II: Attack of the Clones (2002) and Episode III: Revenge of the Sith (2005), was met with mixed reactions from critics and fans. Finally, a sequel trilogy began with Episode VII: The Force Awakens (2015), continued with Episode VIII: The Last Jedi (2017), and will end with Episode IX in 2019. The first eight films were nominated for Academy Awards (with wins going to the first two released) and were commercially successful, with a combined box office revenue of over US$8.5 billion. Together with the theatrical spin-off films The Clone Wars (2008), Rogue One (2016), and Solo (2018), Star Wars is the second-highest-grossing film series of all time. This article is about the film series and media franchise. For the original 1977 film, see Star Wars (film). For other uses, see Star Wars (disambiguation). The first film, subtitled Episode IV: A New Hope with its 1981 re-release, was followed by two successful sequels, Episode V: The Empire Strikes Back (1980) and Episode VI: Return of the Jedi (1983); forming the original Star Wars trilogy. A subsequent prequel trilogy, consisting of Episode I: The Phantom Menace (1999), Episode II: Attack of the Clones (2002) and Episode III: Revenge of the Sith (2005), was met with mixed reactions from critics and fans. Finally, a sequel trilogy began with Episode VII: The Force Awakens (2015), continued with Episode VIII: The Last Jedi (2017), and will end with Episode IX in 2019. The first eight films were nominated for Academy Awards (with wins going to the first two released) and were commercially successful, with a combined box office revenue of over US$8.5 billion. Together with the theatrical spin-off films The Clone Wars (2008), Rogue One (2016), and Solo (2018), Star Wars is the second-highest-grossing film series of all time. The film series has spawned into other media, including books, television shows, computer and video games, theme park attractions and lands, and comic books, resulting in significant development of the series' fictional universe. Star Wars holds a Guinness World Records title for the "Most successful film merchandising franchise". In 2018, the total value of the Star Wars franchise was estimated at US$65 billion, and it is currently the fifth-highest-grossing media franchise. The Star Wars franchise depicts the adventures of characters "A long time ago in a galaxy far, far away." Many species of aliens (often humanoid) co-exist with droids who may assist them in their daily routines, and space travel between planets is common due to hyperspace technology. The rises and falls of different governments are chronicled throughout the saga: the democratic Republic is corrupted and overthrown by the Galactic Empire, which is fought by the Rebel Alliance. The Rebellion later gives rise to the New Republic and rebuilds society, but the remnants of the Empire reform as the First Order and attempt to destroy the Republic. Heroes of the former rebellion lead the Resistance against the oppressive dictatorship. A mystical power known as "the Force" is described in the original film as "an energy field created by all living things ... [that] binds the galaxy together." Those whom "the Force is strong with" have quick reflexes; through training and meditation, they are able to perform various superpowers (such as telekinesis, precognition, telepathy, and manipulation of physical energy). The Force is wielded by two major knighthood orders at conflict with each other: the Jedi, who act on the light side of the Force through non-attachment and arbitration, and the Sith, who use the dark side through fear and aggression. The latter's members are intended to be limited to two: a master and their apprentice. The Star Wars film series centers around a trilogy of trilogies (also referred to as the "Skywalker saga" or the "Star Wars saga"). They were released out of sequence: the original (Episodes IV–VI, 1977–83), prequel (Episodes I–III, 1999–2005), and sequel (Episodes VII–IX, 2015–19) trilogy. The first two trilogies were released on three year intervals, the sequel trilogy films two years apart. Each trilogy centers on a generation of the Force-sensitive Skywalker family. The prequels focus on Anakin Skywalker, the original trilogy on his son Luke, and the sequels on Luke's nephew Kylo Ren. A theatrical animated film, The Clone Wars (2008), was released as a pilot to a TV series of the same name. They were among the last projects overseen by George Lucas before the franchise was sold to Disney in 2012. An anthology series set between the main episodes entered development in parallel to the production of the sequel trilogy, described by Disney CFO Jay Rasulo as origin stories. The first entry, Rogue One (2016), tells the story of the rebels who steal the Death Star plans directly before Episode IV. Solo: A Star Wars Story (2018) focuses on Han's backstory, also featuring Chewbacca and Lando Calrissian. Two spin-off trilogies have been announced: one by Episode VIII's director Rian Johnson and the other by Game of Thrones creators David Benioff and D. B. Weiss. In 1971, George Lucas wanted to film an adaptation of the Flash Gordon serial, but couldn't obtain the rights, so he began developing his own space opera. [lower-alpha 2] After directing American Graffiti (1973), he wrote a two-page synopsis titled Journal of the Whills, which 20th Century Fox decided to invest in. By 1974, he had expanded the story into the first draft of a screenplay, and continued writing more polished drafts. Lucas negotiated to retain the sequel rights, and was offered an initial $150,000 to write, produce, and direct the film. Star Wars was released on May 25, 1977. Its success led Lucas to make it the basis of an elaborate film serial. With the backstory he created for the sequel, Lucas decided that the series would be a trilogy of trilogies, Most of the main cast would return for the two additional installments of the original trilogy, which were self-financed by Lucasfilm. The original film was retitled Star Wars: Episode IV – A New Hope for a 1981 rerelease. Episode V: The Empire Strikes Back was released in May 1980, also achieving wide financial and critical success. The final film in the trilogy, Episode VI: Return of the Jedi was released in May 1983. The story of the original trilogy focuses on Luke Skywalker's quest to become a Jedi, his struggle with the evil Imperial agent Darth Vader, and the struggle of the Rebel Alliance to free the galaxy from the clutches of the Empire. According to producer Gary Kurtz, loose plans for a prequel trilogy were developed during the outlining of the original two films. In 1980, Lucas confirmed that he had the nine-film series plotted, but due to the stress of producing the original trilogy and pressure from his wife to settle down, he had decided to cancel further sequels by 1981. Technical advances in the late 1980s and early 1990s, including the ability to create computer-generated imagery, inspired Lucas to consider that it might be possible to revisit his saga. In 1989, Lucas stated that the prequels would be "unbelievably expensive." In 1992, he acknowledged that he had plans to create the prequel trilogy in the Lucasfilm Fan Club magazine. A theatrical rerelease of the original trilogy in 1997 "updated" the 20-year-old films with the style of CGI envisioned for the new films. Episode I: The Phantom Menace was released on May 19, 1999, and Episode II: Attack of the Clones on May 16, 2002, both to mixed reviews. Episode III: Revenge of the Sith, the first PG-13 film in the franchise, was released on May 19, 2005. The plot of the trilogy focuses on the fall of the Galactic Republic, the formation of the Empire, and the tragedy of Anakin Skywalker's turn to the dark side. Prior to releasing the original film, and made possible by its success, Lucas planned "three trilogies of nine films." He announced this to Time in 1978, and confirmed that he had outlined them in 1981. At various stages of development, the sequel trilogy was to focus on the rebuilding of the Republic, the return of Luke in a role similar to that of Obi-Wan in the original trilogy (and with a female love interest), Luke's sister (not yet determined to be Leia), Han, Leia, R2-D2 and C-3PO. However, after beginning work on the prequel trilogy, Lucas insisted that Star Wars was meant to be a six-part series and that there would be no sequel trilogy. Lucas decided to leave the franchise in the hands of other filmmakers, announcing in January 2012 that he would step away from making blockbuster films. In October 2012, The Walt Disney Company agreed to buy Lucasfilm and announced that Episode VII would be released in 2015. The co-chairman of Lucasfilm, Kathleen Kennedy, became president of the company and served as executive producer of new Star Wars feature films. The sequel trilogy also meant the end of the existing Star Wars expanded universe, which was discarded to give "maximum creative freedom to the filmmakers and also preserve an element of surprise and discovery for the audience." The sequel trilogy focuses on the journey of the orphaned scavenger Rey following in the footsteps of the Jedi with the guidance of the reluctant last Jedi, Luke Skywalker. Along with ex-stormtrooper Finn, she helps the Resistance led by Leia fight the First Order commanded by Supreme Leader Snoke and his pupil Kylo Ren (Han Solo and Leia's son). Episode VII: The Force Awakens was released on December 18, 2015, Episode VIII: The Last Jedi on December 15, 2017, and Episode IX is due to be released on December 20, 2019. In his initial planning following the success of Star Wars, Lucas planned a few standalone films separate from the Skywalker saga. Theatrical films outside the main episodic series have their origin in the Ewok spin-off films Caravan of Courage: An Ewok Adventure (1984) and Ewoks: Battle for Endor (1985), which were screened internationally after being produced for television. Although based on story ideas from Lucas, they do not bear Star Wars in their titles, and were considered to exist in a lower level of canon than the episodic films. After the conclusion of his then six-episode saga in 2005, Lucas continued developing spin-offs in the form of television series and theatrical films. Preceding the airing of the animated TV series in late 2008, the theatrical feature Star Wars: The Clone Wars was compiled from episodes "almost [as] an afterthought." It reveals that Anakin trained an apprentice between Attack of the Clones and Revenge of the Sith; the series explains Padawan Ahsoka Tano's absence from the latter film. The character was originally criticized by fans, but by the end of the series the character had become a fan favorite. It exists in the same level of canon as the episodic and anthology films. Before selling Lucasfilm to Disney in 2012, and parallel to his development of a sequel trilogy, George Lucas and original trilogy co-screenwriter Lawrence Kasdan started development on a standalone film about a young Han Solo. On February 5, 2013, Disney CEO Bob Iger made public the development of the Kasdan film. Disney CFO Jay Rasulo has described the standalone films as origin stories. Lucasfilm and Kennedy have stated that the standalone films would be referred to as the Star Wars anthology series (albeit the word anthology has not been used in any of the titles, instead carrying the promotional "A Star Wars Story" subtitle). Focused on how the Rebels obtained the Death Star plans introduced in the 1977 film, the first anthology film, Rogue One, was released on December 16, 2016 to favorable reviews and box office success. The second, Solo: A Star Wars Story, centered on a young Han Solo with Chewbacca and Lando as supporting characters, was released on May 25, 2018 to mixed reviews and underperformance at the box office. Despite this, more anthology films are expected to be released. A two-hour Star Wars Holiday Special focusing on Chewbacca's family was produced for CBS in 1978. Along with the stars of the original film, celebrity guest stars appear in plot-related skits and musical numbers. Lucas loathed the special and forbade it to be reaired or released on home video. An 11-minute animated sequence features the first appearance of bounty hunter Boba Fett. The Ewoks from Return of the Jedi were featured in two spin-off television films, The Ewok Adventure and Ewoks: The Battle for Endor. Both aired on ABC on the Thanksgiving weekends of 1984 and 1985, respectively. Warwick Davis reprised his debut role as the main Ewok, Wicket, in a story by Lucas and a screenplay by Bob Carrau. Wicket helps two children rescue their parents from a giant creature. In the sequel, the Ewoks protect their village from invaders, while a child from the first film tries to escape. Nelvana, the animation studio that had animated the animated segment of the Holiday Special was hired to create two animated series. Droids (1985–1986), which aired for one season on ABC, follows the adventures of C-3PO and R2-D2 before the events of A New Hope. Its sister series Ewoks (1985–1987) features the Ewoks before Return of the Jedi and the Ewok movies. Dave Filoni, supervising director on two Star Wars animated series, was later promoted to oversee the development of future Lucasfilm Animation projects. After the release of Attack of the Clones, Cartoon Network produced and aired the micro-series Clone Wars from 2003 to weeks before the 2005 release of Revenge of the Sith, as the series featured events set between those films. It won the Primetime Emmy Awards for Outstanding Animated Program in 2004 and 2005. Lucas decided to invest in creating his own animation company, Lucasfilm Animation, and used it to create his first in-house Star Wars CGI-animated series. The Clone Wars (2008–2014) was introduced through a 2008 animated film of the same name. Both were accepted to the highest level canon in 2014; all series released afterwards would also be canon. In 2014, Disney XD began airing Star Wars Rebels, the first CGI-animated series produced in the new era. Set between Revenge of the Sith and A New Hope, it follows a band of rebels as they fight the Galactic Empire and helped close some of the arcs in The Clone Wars. The animated microseries Star Wars Forces of Destiny debuted in 2017, focusing on the female characters of the franchise. The animated series Star Wars Resistance debuted in late 2018, is anime-inspired, and focuses on a young Resistance pilot shortly before The Force Awakens. An animated comedy series titled Star Wars Detours was in production with 39 episodes completed as of late 2013, but its release was postponed following Disney's acquisition of Lucasfilm. When Lucasfilm was sold to Disney, this reportedly included 50 written scripts for a proposed live-action television series with the working title Star Wars: Underworld. The series was to be set between the prequel and original trilogies and focus on the criminal and political power struggles as the Empire took over the galaxy. As of late 2018, no news has come of that project, but Disney has announced multiple live-action Star Wars series for their upcoming direct-to-consumer streaming service, Disney+. Visual effects studio Industrial Light & Magic, a subsidiary of Lucasfilm, opened a new division in November 2018 targeted for streaming and episodic television called ILM TV. Based in London with support from the company's locations in San Francisco, Vancouver, and Singapore, it's expected the new division will work extensively on any current and future live-action Star Wars television series, starting with The Mandalorian. In November 2017, Bob Iger discussed the development of a Star Wars series for Disney+, due to launch in 2019. It was announced in March 2018 that Jon Favreau, who voiced characters in The Clone Wars and Solo, will produce and write one of the television series. Entitled The Mandalorian, it will be set three years after Return of the Jedi and center on a lone gunfighter in the outer reaches of the galaxy. Production on 10 episodes of the series began in October 2018, with a reported budget of $100 million. In November 2018, Lucasfilm announced that development on a live-action Cassian Andor "spy thriller" series for Disney+ had also begun. Diego Luna will reprise his role from Rogue One, and production is planned to begin in 2019 with Stephen Schiff as the showrunner. From 1977 to 2014, the term Expanded Universe (EU) was an umbrella term for all officially licensed Star Wars storytelling material set outside the events depicted within the theatrical films, including novels, comics, and video games. Lucasfilm maintained internal continuity between the films and television content and the EU material until April 25, 2014, when the company announced all of the EU works would cease production. Existing works would no longer be considered canon to the franchise and subsequent reprints would be rebranded under the Star Wars Legends label, with downloadable content for the massively multiplayer online game The Old Republic the only Legends material to still be produced. The Star Wars canon was subsequently restructured to only include the existing six feature films, the animated film The Clone Wars (2008), and its companion animated series. All future projects and creative developments across all types of media would be overseen and coordinated by the story group, announced as a division of Lucasfilm created to maintain continuity and a cohesive vision on the storytelling of the franchise. Multiple comics series from Marvel and novels published by Del Rey were produced after the announcement. Star Wars in print predates the release of the first film, with the December 1976 novelization of Star Wars, subtitled "From the Adventures of Luke Skywalker". Credited to Lucas, it was ghostwritten by Alan Dean Foster. The first "Expanded Universe" story appeared in Marvel Comics' Star Wars #7 in January 1978 (the first six issues being an adaptation of the film), followed by Foster's sequel novel Splinter of the Mind's Eye the following month. 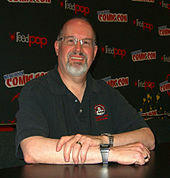 Timothy Zahn authored the Thrawn trilogy, which was widely credited with revitalizing the dormant Star Wars franchise. After penning the novelization of the original film, Foster followed it with the sequel Splinter of the Mind's Eye (1978). The novelizations of The Empire Strikes Back (1980) by Donald F. Glut and Return of the Jedi (1983) by James Kahn followed, as well as The Han Solo Adventures trilogy (1979–1980) by Brian Daley, and The Adventures of Lando Calrissian (1983) trilogy by L. Neil Smith. Timothy Zahn's bestselling Thrawn trilogy (1991–1993) reignited interest in the franchise and introduced the popular characters Grand Admiral Thrawn, Mara Jade, Talon Karrde, and Gilad Pellaeon. The first novel, Heir to the Empire, reached #1 on the New York Times Best Seller list, and the series finds Luke, Leia, and Han facing off against tactical genius Thrawn, who is plotting to retake the galaxy for the Empire. In The Courtship of Princess Leia (1994) by Dave Wolverton, set immediately before the Thrawn trilogy, Leia considers an advantageous political marriage to Prince Isolder of the planet Hapes, but she and Han ultimately marry. Steve Perry's Shadows of the Empire (1996), set between The Empire Strikes Back and Return of the Jedi, was part of a multimedia campaign that included a comic book series and video game. The novel introduced the crime lord Prince Xizor, another popular character who would appear in multiple other works. Other notable series from Bantam include the Jedi Academy trilogy (1994) by Kevin J. Anderson, the 14-book Young Jedi Knights series (1995–1998) by Anderson and Rebecca Moesta, and the X-wing series (1996–2012) by Michael A. Stackpole and Aaron Allston. Del Rey took over Star Wars book publishing in 1999, releasing what would become a 19-installment novel series called The New Jedi Order (1999–2003). Written by multiple authors, the series was set 25 to 30 years after the original films and introduced the Yuuzhan Vong, a powerful alien race attempting to invade and conquer the entire galaxy. The bestselling multi-author series Legacy of the Force (2006–2008) chronicles the crossover of Han and Leia's son Jacen Solo to the dark side of the Force; among his evil deeds, he kills Luke's wife Mara Jade as a sacrifice to join the Sith. Although no longer canon, the story is paralleled in The Force Awakens with Han and Leia's son Ben Solo, who has become the dark Kylo Ren. Three series set in the prequel era were introduced for younger audiences: the 18-book Jedi Apprentice (1999–2002) chronicles the adventures of Obi-Wan Kenobi and his master Qui-Gon Jinn in the years before The Phantom Menace; the 11-book Jedi Quest (2001–2004) follows Obi-Wan and his own apprentice, Anakin Skywalker in between The Phantom Menace and Attack of the Clones; and the 10-book The Last of the Jedi (2005–2008), set almost immediately after Revenge of the Sith, features Obi-Wan and the last few surviving Jedi. Although Thrawn had been designated a Legends character in 2014, he was reintroduced into the canon in the 2016 third season of Rebels, with Zahn returning to write more novels based in the character, and set in the new canon. Marvel Comics published a Star Wars comic book series from 1977 to 1986. Original Star Wars comics were serialized in the Marvel magazine Pizzazz between 1977 and 1979. The 1977 installments were the first original Star Wars stories not directly adapted from the films to appear in print form, as they preceded those of the Star Wars comic series. From 1985–1987, the animated children's series Ewoks and Droids inspired comic series from Marvel's Star Comics line. In the late 1980s, Marvel dropped a new Star Wars comic it had in development, which was picked up by Dark Horse Comics and published as the popular Dark Empire series (1991–1995). Dark Horse subsequently launched dozens of series set after the original film trilogy, including Tales of the Jedi (1993–1998), X-wing Rogue Squadron (1995–1998), Star Wars: Republic (1998–2006), Star Wars Tales (1999–2005), Star Wars: Empire (2002–2006), and Knights of the Old Republic (2006–2010). After Disney's acquisition of Lucasfilm, it was announced in January 2014 that in 2015 the Star Wars comics license would return to Marvel Comics, whose parent company, Marvel Entertainment, Disney had purchased in 2009. Launched in 2015, the first three publications were titled Star Wars, Darth Vader, and the limited series Princess Leia. Radio adaptations of the films were also produced. Lucas, a fan of the NPR-affiliated campus radio station of his alma mater the University of Southern California, licensed the Star Wars radio rights to KUSC-FM for US$1. The production used John Williams' original film score, along with Ben Burtt's sound effects. The first was written by science fiction author Brian Daley and directed by John Madden. It was broadcast on National Public Radio in 1981, adapting the original 1977 film into 13-episodes. Mark Hamill and Anthony Daniels reprised their film roles. The overwhelming success, led to a 10-episode adaptation of The Empire Strikes Back debuted in 1983. Billy Dee Williams joined the other two stars, reprising his role as Lando Calrissian. In 1983, Buena Vista Records released an original, 30-minute Star Wars audio drama titled Rebel Mission to Ord Mantell, written by Daley. In the 1990s, Time Warner Audio Publishing adapted several Star Wars series from Dark Horse Comics into audio dramas: the three-part Dark Empire saga, Tales of the Jedi, Dark Lords of the Sith, the Dark Forces trilogy, and Crimson Empire (1998). Return of the Jedi was adapted into 6-episodes in 1996, featuring Daniels. The first officially licensed Star Wars electronic game was Kenner's 1979 table-top Star Wars Electronic Battle Command. In 1982, Parker Brothers published the first Star Wars video game for the Atari 2600, The Empire Strikes Back. It was followed in 1983 by Atari's rail shooter arcade game Star Wars, which used vector graphics and was based on the Death Star trench run scene from the 1977 film. The next game, Return of the Jedi (1984), used more traditional raster graphics, with the following game The Empire Strikes Back (1985) returning to vector graphics. Star Wars was released for Nintendo in 1991, followed by a sequel the next year. Super Star Wars was also released in 1992, followed by two sequels over the next two years. Lucasfilm had started its own video game company in 1982, becomong known for adventure games and World War II flight combat games. In 1993, LucasArts released Star Wars: X-Wing, the first self-published Star Wars video game and the first space flight simulation based on the franchise. It was one of the best-selling games of 1993, and established its own series of games. The Rogue Squadron series released between 1998 and 2003 also focused on space battles set during the films. Dark Forces (1995), a hybrid adventure game incorporating puzzles and strategy, was the first Star Wars first-person shooter. It featured gameplay and graphical features not then common in other games, made possible by LucasArts' custom-designed game engine, the Jedi. The game was well received, and followed by four sequels. The series introduced Kyle Katarn, who would appear in multiple games, novels, and comics. Katarn is a former stormtrooper who joins the rebellion and becomes a Jedi, a plot arc similar to that of Finn in The Force Awakens. A massively multiplayer online role-playing game, Star Wars Galaxies, was in operation from 2003 until 2011. Disney partnered with Lenovo to create the augmented reality game Jedi Challenges, released in November 2017. In August 2018, it was announced that Zynga would publish free-to-play Star Wars mobile games. In addition to the Disneyland ride Star Tours (1987) and its renovation as Star Tours – The Adventures Continue (2011), many live attractions have been held at Disney parks, including the traveling exhibition Where Science Meets Imagination, the Space Mountain spin-off Hyperspace Mountain, a walkthrough Launch Bay, and the nighttime A Galactic Spectacular. An immersive themed area called Galaxy's Edge is planned for Disneyland and Walt Disney World in 2019, and a themed hotel will open at Walt Disney World in mid-2019. A multimedia project involves works released across multiple types of media. Shadows of the Empire (1996) was a multimedia project set between The Empire Strikes Back and Return of the Jedi that included a novel by Steve Perry, a comic book series, a video game, and action figures. The Force Unleashed (2008–2010) was a similar project set between Revenge of the Sith and A New Hope that included a novel, a 2008 video game and its 2010 sequel, a graphic novel, a role-playing game supplement, and toys. The success of the Star Wars films led the franchise to become one of the most merchandised franchises in the world. While filming the original 1977 film, George Lucas decided to take a $500,000 pay cut to his salary as director in exchange for full ownership of the franchise's merchandising rights. The first six films produced approximately US$20 billion in merchandising revenue. Kenner made the first Star Wars action figures to coincide with the release of the film, and today the original figures are highly valuable. Since the 1990s, Hasbro holds the rights to create action figures based on the saga. Pez dispensers began to be produced in 1997. Star Wars was the first intellectual property to be licensed in Lego history. Lego has produced animated parody short films and mini-series to promote their Star Wars sets. The Lego Star Wars video games are critically acclaimed bestsellers. In 1977, the board game Star Wars: Escape from the Death Star was released, not to be confused with the board game with the same name published in 1990. A Star Wars Monopoly and themed versions of Trivial Pursuit and Battleship were released in 1997, with updated versions released in subsequent years. The board game Risk has been adapted in two editions by Hasbro: The Clone Wars Edition (2005) and the Original Trilogy Edition (2006). Three Star Wars tabletop role-playing games have been developed: a version by West End Games in the 1980s and 1990s, one by Wizards of the Coast in the 2000s, and one by Fantasy Flight Games in the 2010s. Star Wars trading cards have been published since the first "blue" series, by Topps, in 1977. Dozens of series have been produced, with Topps being the licensed creator in the United States. Some of the card series are of film stills, while others are original art. Many of the cards have become highly collectible with some very rare "promos", such as the 1993 Galaxy Series II "floating Yoda" P3 card often commanding US$1,000 or more. While most "base" or "common card" sets are plentiful, many "insert" or "chase cards" are very rare. From 1995 until 2001, Decipher, Inc. had the license for, created and produced a collectible card game based on Star Wars; the Star Wars Collectible Card Game (also known as SWCCG). Aside from its well-known science fictional technology, Star Wars features elements such as knighthood, chivalry, and princesses that are related to archetypes of the fantasy genre. The Star Wars world, unlike science fiction that features sleek and futuristic settings, is portrayed as dirty and grimy. Lucas' vision of a "used future" was further popularized in the science fiction films Alien, which was set on an aged space freighter; Mad Max 2, which is set in a post-apocalyptic desert; and Blade Runner, which is set in a crumbling, dystopian city of the future. Lucas made a conscious effort to parallel scenes and dialogue between films, and especially the journey of Anakin Skywalker in the prequels with that of his son Luke. Political science has been an important element of Star Wars since the franchise launched in 1977, focusing on a struggle between democracy and dictatorship. Darth Vader's design, initially inspired by Samurai armor, also incorporated a German military helmet. Space battles in A New Hope were based on World War I and World War II dogfights, and stormtroopers borrow the name of Nazi "shock" troopers. Imperial officers wear uniforms resembling those of German forces during World War II, and political and security officers resemble the black-clad SS down to the stylized silver death's head on their caps. World War II terms were used for names in the films; e.g. the planets Kessel (a term that refers to a group of encircled forces) and Hoth (Hermann Hoth was a German general who served on the snow-laden Eastern Front). Palpatine being a chancellor before becoming the Emperor in the prequel trilogy alludes to Adolf Hitler's role as chancellor before appointing himself Führer. Lucas has also drawn parallels to historical dictators such as Julius Caesar, Napoleon Bonaparte, and Richard Nixon. [lower-alpha 3] The Great Jedi Purge mirrors the events of the Night of the Long Knives. The corruption of the Galactic Republic is modeled after the fall of the democratic Roman Republic and the formation of an empire. On the inspiration for the First Order formed "from the ashes of the Empire", The Force Awakens director J.J. Abrams spoke of conversations the writers had about how the Nazis could have escaped to Argentina after WWII and "started working together again." 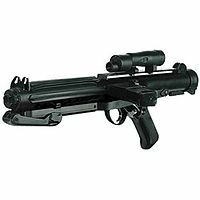 The lightsaber and the blaster have become an iconic part of the franchise and have appeared throughout popular culture. The Star Wars saga has had a significant impact on popular culture, with references to its fictional universe deeply embedded in everyday life. Phrases like "evil empire" and "May the Force be with you" have become part of the popular lexicon. The first Star Wars film in 1977 was a cultural unifier, enjoyed by a wide spectrum of people. The film can be said to have helped launch the science fiction boom of the late 1970s and early 1980s, making science fiction films a blockbuster genre and mainstream. The widespread impact made it a prime target for parody works and homages, with popular examples including Hardware Wars, Spaceballs, The Family Guy Trilogy, Robot Chicken: Star Wars, and its sequels Star Wars – Episode II and Episode III. In 1989, the Library of Congress selected the original Star Wars film for preservation in the U.S. National Film Registry, as being "culturally, historically, or aesthetically significant." The Empire Strikes Back, was selected in 2010. 35mm reels of the 1997 Special Editions were the versions initially presented for preservation because of the difficulty of transferring from the original prints, but it was later revealed that the Library possessed a copyright deposit print of the original theatrical releases. The original Star Wars film was a huge success for 20th Century Fox, and was credited for reinvigorating the company. Within three weeks of the film's release, the studio's stock price doubled to a record high. Prior to 1977, 20th Century Fox's greatest annual profits were $37 million, while in 1977, the company broke that record by posting a profit of $79 million. The franchise helped Fox to change from an almost bankrupt production company to a thriving media conglomerate. Star Wars fundamentally changed the aesthetics and narratives of Hollywood films, switching the focus of Hollywood-made films from deep, meaningful stories based on dramatic conflict, themes and irony to sprawling special-effects-laden blockbusters, as well as changing the Hollywood film industry in fundamental ways. Before Star Wars, special effects in films had not appreciably advanced since the 1950s. The commercial success of Star Wars created a boom in state-of-the-art special effects in the late 1970s. Along with Jaws, Star Wars started the tradition of the summer blockbuster film in the entertainment industry, where films open on many screens at the same time and profitable franchises are important. It created the model for the major film trilogy and showed that merchandising rights on a film could generate more money than the film itself did. The Star Wars saga has inspired many fans to create their own non-canon material set in the Star Wars galaxy. In recent years, this has ranged from writing fan fiction to creating fan films. In 2002, Lucasfilm sponsored the first annual Official Star Wars Fan Film Awards, officially recognizing filmmakers and the genre. Because of concerns over potential copyright and trademark issues, however, the contest was initially open only to parodies, mockumentaries, and documentaries. Fan fiction films set in the Star Wars universe were originally ineligible, but in 2007, Lucasfilm changed the submission standards to allow in-universe fiction entries. Lucasfilm has allowed but not endorsed the creation of fan fiction, as long as it does not attempt to make a profit. As the characters and the storyline of the original trilogy are so well known, educators have used the films in the classroom as a learning resource. For example, a project in Western Australia honed elementary school students storytelling skills by role-playing action scenes from the movies and later creating props and audio/visual scenery to enhance their performance. Others have used the films to encourage second-level students to integrate technology in the science classroom by making prototype lightsabers. Similarly, psychiatrists in New Zealand and the US have advocated their use in the university classroom to explain different types of psychopathology. ↑ The film's release was preceded by its novelization in November 1976. ↑ Lucas started by researching the inspiration behind Alex Raymond's Flash Gordon comic, leading him to the works of author Edgar Rice Burroughs—the John Carter of Mars series in particular. 1 2 "Star Wars: Episode IX Cast Announced". StarWars.com. July 27, 2018. Retrieved August 15, 2018. ↑ Lewis, Ann Margaret (April 3, 2001). Star Wars: The Essential Guide to Alien Species. LucasBooks. ISBN 978-0345442208. ↑ Wallace, Daniel (February 16, 1999). Star Wars: The Essential Guide to Droids. LucasBooks. ISBN 978-0345420671. ↑ Smith, Bill (March 19, 1996). Star Wars: The Essential Guide to Vehicles and Vessels. LucasBooks. ISBN 978-0345392992. ↑ Star Wars: Episode III – Revenge of the Sith (DVD). 20th Century Fox. 2005. ↑ McDonagh, Tim (2016). Star Wars: Galactic Maps. Disney–Lucasfilm Press. pp. 13, 44. ISBN 978-1368003063. 1 2 James Dyer (2015). "JJ Abrams Spills Details On Kylo Ren". Empireonline.com. Retrieved February 2, 2016. ↑ "6 Great Quotes About the Force". StarWars.com. July 25, 2016. Retrieved November 11, 2018. ↑ The Empire Strikes Back (DVD). 20th Century Fox. 2004. ↑ Nicholas, Christopher (2016). Star Wars: I Am a Jedi. Little Golden Books. Illustrated by Ron Cohee. pp. 18–19. ISBN 978-0736434874. 1 2 McCreesh, Louise (February 13, 2018). "Lucas had been developing a Han Solo movie for ages". Digital Spy. Retrieved March 14, 2018. 1 2 Graser, Marc (September 12, 2013). "Star Wars: The 'Sky's the Limit' for Disney's Spinoff Opportunities". Variety. Retrieved September 13, 2013. 1 2 Breznican, Anthony (April 19, 2015). "Star Wars: Rogue One and mystery standalone movie take center stage". Entertainment Weekly. Retrieved April 19, 2015. ↑ Breznican, Anthony (November 22, 2016). "As Rogue One looms, Lucasfilm develops secret plans for new Star Wars movies". Entertainment Weekly. ↑ "Rian Johnson, Writer-Director of Star Wars: The Last Jedi, to Create All-New Star Wars Trilogy". StarWars.com. November 9, 2017. Retrieved November 9, 2017. ↑ "Game of Thrones Creators David Benioff & D.B. Weiss To Write And Produce A New Series Of Star Wars Films". StarWars.com. February 6, 2018. Retrieved February 6, 2018. ↑ Roots, Kimberly (February 8, 2019). "Confederate Delay Is Independent of Controversy, HBO Boss Says". TVLine. Retrieved February 13, 2019. ↑ "J.J. Abrams to Write and Direct Star Wars: Episode IX". StarWars.com. September 12, 2017. Retrieved September 12, 2017. ↑ Kroll, Justin (August 1, 2017). "'Star Wars': 'Wonder' Writer to Polish 'Episode IX' Script". Variety. Retrieved August 4, 2017. ↑ Young, Bryan (December 21, 2015). "The Cinema Behind Star Wars: John Carter". StarWars.com. Retrieved September 17, 2018. ↑ Vallely, Jean (June 12, 1980). "The Empire Strikes Back and So Does Filmmaker George Lucas With His Sequel to Star Wars". Rolling Stone. Wenner Media LLC. ↑ Rinzler 2007, p. 8. ↑ Smith, Kyle (September 21, 2014). "How 'Star Wars' was secretly George Lucas' Vietnam protest". The New York Post. Retrieved September 22, 2014. ↑ "Starkiller". Jedi Bendu. Archived from the original on June 28, 2006. Retrieved March 27, 2008. 1 2 Fleming Jr, Mike (December 18, 2015). "An Architect Of Hollywood's Greatest Deal Recalls How George Lucas Won Sequel Rights". Deadline Hollywood. Retrieved November 10, 2017. 1 2 "The Real Force Behind 'Star Wars': How George Lucas Built an Empire". The Hollywood Reporter. February 9, 2012. Retrieved September 26, 2018. ↑ Kaminski 2008, p. 142. 1 2 3 4 Steranko, "George Lucas", Prevue #42, September–October 1980. ↑ Saporito, Jeff (November 11, 2015). "Why was "Star Wars Episode IV: A New Hope" originally released under another title". ScreenPrism. Retrieved November 7, 2018. 1 2 "Gary Kurtz Reveals Original Plans for Episodes 1-9". TheForce.net. May 26, 1999. Retrieved September 22, 2018. ↑ Lucas, George (1980). "Interview: George Lucas" (PDF). Bantha Tracks. No. 8. ↑ Kaminski 2008, p. 494. ↑ Kaminski 2008, p. 303. ↑ Kaminski 2008, p. 312. ↑ "Episode III Release Dates Announced". StarWars.com. April 5, 2004. Archived from the original on April 15, 2008. Retrieved March 27, 2008. 1 2 "Mark Hamill talks Star Wars 7, 8 and 9!". MovieWeb. September 10, 2004. Retrieved October 18, 2008. ↑ "George Lucas' Galactic Empire". TIME. March 6, 1978. Retrieved September 15, 2012. ↑ Kerry O'Quinn. "The George Lucas Saga Chapter 3: 'The Revenge of the Box Office'". Starlog #50, September 1981. ↑ Gerald Clarke. "The Empire Strikes Back!". Time, May 19, 1980. Retrieved September 26, 2012. ↑ Bill Warren. "George Lucas: Father of the Force". Starlog #127, February 1988. ↑ Warren, Bill. "Maker of Myths". Starlog. No. #237, April 1997. ↑ Kerry O'Quinn. "The George Lucas Saga Chapter 1: 'A New View'", Starlog #48, July 1981. ↑ Lucas, George (1997). Star Wars: The Empire Strikes Back. Del Rey. p. i. ↑ "George Lucas talks on Star Wars sequels 7, 8 & 9". Killer Movies. September 13, 2004. Retrieved October 18, 2008. ↑ "George Lucas Done With 'Star Wars' Fanboys, Talks 'Red Tails'". The Huffington Post. January 17, 2012. Retrieved January 17, 2012. ↑ Nakashima, Ryan (October 30, 2012). "Disney to make new 'Star Wars' films, buy Lucas co". Yahoo!. Retrieved October 10, 2018. ↑ Block, Alex (October 30, 2012). "Disney to Buy Lucasfilm for Billion; New 'Star Wars' Movie Set for 2015". The Hollywood Reporter. Retrieved October 31, 2012. ↑ "The Legendary Star Wars Expanded Universe Turns A New Page". StarWars.com. April 25, 2014. Retrieved September 8, 2015. ↑ Joshua Rich (March 17, 2008). "George Lucas on 'Star Wars,' Indiana Jones". Entertainment Weekly. Retrieved September 24, 2018. ↑ Douglas Brode; Leah Deyneka (2012). Myth, Media, and Culture in Star Wars: An Anthology. Scarecrow Press. p. 128. ISBN 978-0-8108-8512-7. ↑ "How Ahsoka Tano Completed the Arc of Anakin Skywalker". www.themarysue.com. ↑ "Dave Filoni Just Made an Unexpected 'Star Wars' Revelation". 1 2 3 "The Legendary Star Wars Expanded Universe Turns a New Page". StarWars.com. April 25, 2014. Retrieved May 26, 2016. ↑ "Disney Earnings Beat; 'Star Wars' Spinoffs Planned". CNBC. February 5, 2013. Retrieved February 5, 2013. ↑ "'Multiple films' still in 'Star Wars' pipeline, sources say". Good Morning America. ABC. June 21, 2018. Retrieved September 1, 2018. ↑ Warren, Robert (December 25, 2014). "The Star Wars holiday special George Lucas wants to smash every copy of with a sledgehammer". Salon. Retrieved March 1, 2017. 1 2 Alter, Ethan (December 15, 2015). "Star Wars: How the Ewoks Came to TV 31 Years Ago". Yahoo!. Retrieved March 1, 2017. ↑ O'Connor, John (November 23, 1984). "TV Weekend; The Ewok Adventure, Sunday Movie on ABC". The New York Times. Retrieved March 1, 2017. 1 2 3 4 Newbold, Mark (April 15, 2013). "Star Wars in the UK: The Dark Times, 1987—1991". StarWars.com. Retrieved March 16, 2017. ↑ Corry, John (November 24, 1985). "New Shows For Children: Should We Expect More?". The New York Times. Retrieved March 1, 2017. ↑ Veekhoven, Tim (April 1, 2014). "From Boonta to Baobab: Droids and the Star Wars Prequels". Starwars.com. Retrieved March 1, 2017. 1 2 Snyder, Jon (1995). "A Star Wars CELibration". Star Wars Insider. pp. 63–65. Archived from the original on April 9, 2016. Retrieved March 1, 2017. ↑ Anderton, Ethan (September 26, 2016). "Dave Filoni Now Overseeing Creative Development of New Lucasfilm Animation Projects". SlashFilm. Retrieved January 29, 2018. ↑ "100 Top Animated Series: 21. Star Wars: Clone Wars (2003 TV series)". IGN. 2009. Archived from the original on February 28, 2017. Retrieved February 28, 2017. ↑ Granshaw, Lisa (April 29, 2015). "How the Clone Wars microseries led the way for Star Wars' return to TV". Syfy Wire. Retrieved March 1, 2017. ↑ "Star Wars: Clone Wars". Academy of Television Arts & Sciences. 2004. Retrieved March 1, 2017. ↑ "Star Wars: Clone Wars Vol. 2 (Chapters 21-25)". Academy of Television Arts & Sciences. 2005. Retrieved March 1, 2017. ↑ "George Lucas Talks Star Wars: The Clone Wars". StarWars.com. March 17, 2008. Archived from the original on June 4, 2011. Retrieved January 29, 2018. ↑ McMilian, Graeme (April 25, 2014). "Lucasfilm Unveils New Plans for Star Wars Expanded Universe". The Hollywood Reporter. Retrieved May 26, 2016. ↑ Goldman, Eric (October 2, 2014). "Greg Weisman Leaves Star Wars Rebels". IGN. Retrieved March 1, 2017. ↑ Johnson, Kevin. "Star Wars Rebels' finale possesses an epic scope that doesn't quite match the journey to get there". A.V. Club. Retrieved January 29, 2018. ↑ Johnson, Kevin. "Star Wars Rebels' "epic showdown" is really a quiet, if narrow, character study". A.V. Club. Retrieved January 29, 2018. ↑ "'Star Wars Rebels' Season 4 Sets Saw Gerrera's Return, More". ScreenCrush. Retrieved January 29, 2018. ↑ Biery, Thomas (June 27, 2017). "Star Wars Forces of Destiny debuts this July". Polygon. Retrieved January 29, 2018. ↑ "Star Wars Resistance, All-New Anime-Inspired Series, Set for Fall Debut". StarWars.com. April 26, 2018. Retrieved October 12, 2018. ↑ Paur, Joey (September 20, 2013). "Update on the Star Wars: Detours Animated Series". GeekTyrant.com. Retrieved February 23, 2019. ↑ "A New Direction for Lucasfilm Animation". StarWars.com. March 11, 2013. Retrieved February 23, 2019. 1 2 Morgan, Jeffery (May 22, 2012). "Star Wars TV series will be 'provocative, bold and daring'". Digital Spy. Retrieved March 2, 2017. ↑ Jeffery, Morgan (January 9, 2012). "'Star Wars' TV series to be called 'Star Wars: Underworld'?". Digital Spy. Retrieved October 2, 2018. ↑ Goldberg, Lesley; Couch, Aaron (February 6, 2018). "'Star Wars' TV Series: Disney Developing "a Few" for Its Streaming Service". The Hollywood Reporter. Retrieved September 27, 2018. ↑ Bacon, Thomas (February 6, 2018). "What We Know About Benioff and Weiss' Star Wars Movies". ScreenRant. Retrieved September 27, 2018. 1 2 Caranicas, Peter (November 7, 2018). "ILM Launches TV Unit to Serve Episodic and Streaming Content". Variety. Retrieved November 25, 2018. ↑ Chmielewski, Dawn (November 9, 2017). "Disney Developing Star Wars, Monsters Inc. TV Series For Streaming Service". Deadline Hollywood. Retrieved November 10, 2017. ↑ Barnes, Brooks (March 8, 2018). "Jon Favreau to Pen Live-Action Star Wars Streaming Series". The New York Times. ↑ "Jon Favreau's Star Wars series will be set between Return of the Jedi and The Force Awakens". The Verge. May 11, 2018. Retrieved September 2, 2018. ↑ D'Alessandro, Anthony (October 3, 2018). "Jon Favreau Unveils Details For His 'Star Wars' Live-Action Streaming Series 'The Mandalorian'". Deadline Hollywood. Retrieved October 4, 2018. ↑ Favreau, John (October 3, 2018). "#starwars #TheMandalorian". Instagram. Retrieved October 4, 2018. ↑ Barnes, Brooks (August 5, 2018). "Disney's Streaming Service Starts to Come Into Focus". The New York Times. Retrieved October 2, 2018. ↑ "Cassian Andor Live-Action Series Announced". StarWars.com. November 8, 2018. Retrieved November 8, 2018. ↑ Nellie Andreeva (November 30, 2018). "Disney+ 'Star Wars' Series Starring Diego Luna Taps Stephen Schiff As Showrunner". Deadline. Retrieved November 30, 2018. 1 2 Benjamin W.L. Derhy Kurtz; Mélanie Bourdaa (2016). The Rise of Transtexts: Challenges and Opportunities. Taylor & Francis. p. 23. ISBN 978-1-317-37105-2. ↑ Britt, Ryan (January 24, 2013). "Weird Differences Between the First Star Wars Movie and Its Preceding Novelization". Tor.com. Archived from the original on June 19, 2017. Retrieved February 27, 2017. ↑ Allison, Keith (December 25, 2014). "A Long Time Ago …". The Cultural Gutter. Retrieved March 2, 2017. ↑ Allison, Keith (January 22, 2015). "... In a Galaxy Far, Far Away". The Cultural Gutter. Retrieved March 2, 2017. ↑ "Critical Opinion: Heir to the Empire Reviews". StarWars.com. April 4, 2014. Archived from the original on July 14, 2014. Retrieved February 27, 2017. ↑ Breznican, Anthony (November 2, 2012). "Star Wars sequel author Timothy Zahn weighs in on new movie plans". Entertainment Weekly. Retrieved July 21, 2016. ↑ "Timothy Zahn: Outbound Flight Arrival". StarWars.com. January 31, 2006. Archived from the original on February 4, 2006. Retrieved July 21, 2016. ↑ Kaminski 2008, pp. 289–91. ↑ "The New York Times Best Seller List" (PDF). Hawes.com. June 30, 1991. Retrieved March 1, 2017. ↑ Britt, Ryan (February 28, 2013). "How Timothy Zahn's Heir to the Empire Turned Star Wars into Science Fiction". Tor.com. Archived from the original on June 16, 2015. Retrieved August 26, 2015. ↑ "Star Wars: The Courtship of Princess Leia (Review)". Kirkus Reviews. May 20, 2010. Retrieved December 7, 2015. ↑ Wolverton, Dave (1994). The Courtship of Princess Leia. Bantam Spectra. ISBN 978-0-553-08928-8. 1 2 3 Webster, Andrew (December 2, 2012). "The Classics: Star Wars: Shadows of the Empire". The Verge. Retrieved March 2, 2017. 1 2 "Shadows of the Empire Checklist". Rebelscum.com. Retrieved March 2, 2017. ↑ "Databank: Xizor, Prince". StarWars.com. Archived from the original on June 28, 2011. Retrieved March 2, 2017. ↑ Creamer, Matt Timmy (January 20, 2016). "Star Wars: The Force Awakens borrowed heavily from Kevin J. Anderson's Jedi Academy Trilogy". Moviepilot. Archived from the original on March 4, 2017. Retrieved March 4, 2017. 1 2 "ConDFW XIII 2014: Kevin J. Anderson Profile". ConDFW.org. March 7, 2013. Archived from the original on November 27, 2013. ↑ Goldstein, Rich (March 26, 2014). "Is the New 'Star Wars' Trilogy the Story of the Solo Twins and Darth Caedus?". The Daily Beast. Retrieved February 21, 2015. ↑ Britt, Ryan (March 27, 2014). "Even More Kids on the Playground: X-Wing #1 Rogue Squadron". Tor.com. Archived from the original on April 9, 2015. Retrieved March 4, 2017. ↑ "Paperback Best Sellers: February 22, 1998 (X-Wing #5: Wraith Squadron)". The New York Times. February 22, 1998. Retrieved March 4, 2017. ↑ "Paperback Best Sellers: August 29, 1999 (X-Wing #9: Starfighters of Adumar)". The New York Times. August 29, 1999. Retrieved March 4, 2017. ↑ Britt, Ryan (July 6, 2016). "Star Wars Was Nearly Ruined By A Hacky Alien Invasion Storyline". The Huffington Post. Retrieved March 1, 2017. ↑ Eng, Dinah (June 23, 2004). "Star Wars books are soldiering on". USA Today. Archived from the original on November 20, 2013. Retrieved February 28, 2017. 1 2 McMillan, Graeme (December 23, 2015). "How the Abandoned Star Wars Expanded Universe Inspired Force Awakens". The Hollywood Reporter. Retrieved January 1, 2016. ↑ Bouie, Jamelle (December 16, 2015). "How The Force Awakens Remixes the Star Wars Expanded Universe". Slate. Retrieved December 20, 2015. ↑ Kendrick, Ben (December 18, 2015). "Star Wars 7: Kylo Ren Backstory Explained". Screen Rant. Retrieved December 20, 2015. ↑ Saavedra, John (December 17, 2015). "Star Wars: The Force Awakens Easter Eggs and Reference Guide (Kylo Ren/Ben Solo and the Knights of Ren)". Den of Geek. Retrieved December 18, 2015. ↑ Truitt, Brian (July 16, 2016). "Thrawn to make grand appearance in Star Wars Rebels". USA Today. Retrieved July 16, 2016. ↑ "The Rebels Face Grand Admiral Thrawn When Star Wars Rebels Season Three Premieres Saturday, September 24". StarWars.com. August 8, 2016. Retrieved September 25, 2016. ↑ "Star Wars #1 (April 1977)". Marvel Comics. Archived from the original on November 7, 2016. Retrieved August 23, 2016. ↑ "Star Wars #1 (April 1977)". Grand Comics Database. Retrieved August 23, 2016. ↑ "Star Wars". The Comic Reader. No. 142. April 1977. ↑ "Star Wars #107 (May 1986)". Marvel Comics. Archived from the original on November 7, 2016. Retrieved August 23, 2016. ↑ Cronin, Brian (June 17, 2011). "Comic Book Legends Revealed #318". Comic Book Resources. Retrieved March 13, 2017. ↑ McMillan, Graeme (January 10, 2013). "Leaving an Imprint: 10 Defunct MARVEL Publishing Lines: Star Comics". Newsarama. Archived from the original on October 12, 2014. Retrieved March 13, 2017. ↑ Ceimcioch, Marck (December 2014). "Marvel for Kids: Star Comics". Back Issue!. No. 77. Retrieved March 13, 2017. ↑ Handley, Rich (April 20, 2013). "Droids and Ewoks Return: Spain's Lost Star Wars Comic Strips". StarWars.com. Retrieved March 13, 2017. ↑ Cronin, Brian (November 29, 2007). "Comic Book Urban Legends Revealed #131". Comic Book Resources. Archived from the original on April 26, 2015. Retrieved February 27, 2017. ↑ Whitbrook, James (December 12, 2014). "The Greatest Dark Horse Star Wars Comics To Buy Before They're Gone". Gizmodo. Retrieved March 13, 2017. ↑ Saavedra, John (January 4, 2015). "Star Wars: The 13 Greatest Dark Horse Comics Stories". Den of Geek. Retrieved March 13, 2017. ↑ McMillan, Graeme (January 3, 2014). "Disney Moves Star Wars Comics License to Marvel". The Hollywood Reporter. Archived from the original on March 23, 2016. Retrieved January 3, 2014. ↑ Wilkerson, David B. (August 31, 2009). "Disney to Acquire Marvel Entertainment for $4B". MarketWatch.com. Archived from the original on June 8, 2011. Retrieved October 4, 2011. ↑ Brooks, Dan (July 26, 2014). "SDCC 2014: Inside Marvel's New Star Wars Comics". StarWars.com. Retrieved August 20, 2016. ↑ Wheeler, Andrew (July 26, 2014). "Force Works: Marvel Announces Three New Star Wars Titles From All-Star Creative Teams". Comics Alliance. Archived from the original on October 8, 2016. Retrieved August 20, 2016. ↑ Yehl, Joshua (July 26, 2014). "SDCC 2014: Marvel Announces 3 Star Wars Comics for 2015". IGN. Archived from the original on November 21, 2015. Retrieved August 20, 2016. 1 2 3 4 Sterling, Christopher H. (2004). Encyclopedia of Radio (Vol. 3). Routledge. p. 2206. ISBN 9781135456498. Retrieved March 2, 2017. 1 2 3 "5 Awesome Star Wars Media Collectibles". StarWars.com. April 9, 2015. Retrieved March 2, 2017. 1 2 John, Derek. "That Time NPR Turned Star Wars Into A Radio Drama—And It Actually Worked". All Things Considered. NPR. Archived from the original on June 20, 2016. Retrieved March 2, 2017. ↑ Robb, Brian J. (2012). A Brief Guide to Star Wars. London: Hachette. ISBN 9781780335834. Retrieved July 21, 2016. ↑ "Mark Hamill (2), Anthony Daniels (2), Billy Dee Williams, John Lithgow - The Empire Strikes Back - The Original Radio Drama". Discogs. Retrieved September 3, 2018. 1 2 3 Brown, Alan (December 16, 2015). "Sounds of Star Wars: The Audio Dramas". Tor.com. Retrieved March 2, 2017. ↑ "Kenner Star Wars Battle Command". Handheldmuseum.com. Retrieved March 15, 2017. ↑ Coopee, Todd. "Star Wars Electronic Battle Command Game". ToyTales.ca. Retrieved March 15, 2017. ↑ Bogost, Ian; Montfort, Nick (2009). Racing the Beam: The Atari Video Computer System. The MIT Press. ISBN 978-0-262-01257-7. ↑ "A Brief History of Star War Games, Part 1 (Slide 1–6)". Tom's Hardware. May 20, 2007. Retrieved March 3, 2017. ↑ "Star Wars: Return of the Jedi". MobyGames. Retrieved March 15, 2017. ↑ "The making of The Empire Strikes Back". Retro Gamer. No. 70. November 2009. pp. 82–83. 1 2 "LucasArts Entertainment Company: 20th Anniversary (Part Two: The Classics, 1990–1994)". LucasArts. June 23, 2006. Archived from the original on June 23, 2006. Retrieved March 15, 2017. 1 2 Mizell, Leslie (October 1994). "Star Wars: Dark Forces preview". PC Gamer. pp. 34–37. 1 2 3 "A Brief History of Star War Games, Part 1 (Slide 29–32)". Tom's Hardware. May 20, 2007. Retrieved March 3, 2017. ↑ Turner, Benjamin; Bowen, Kevin (December 11, 2003). "Bringin' in the DOOM Clones". GameSpy. Archived from the original on January 27, 2012. Retrieved August 15, 2013. ↑ Baldazo, Rex (December 1995). "Today's hot first-person 3-D shoot-'em-ups". Byte. Archived from the original on November 23, 2008. Retrieved August 15, 2013. ↑ Kent, Steven L. (March 19, 1995). "Tech Reviews CD-Rom – Dark Forces". The Seattle Times. Retrieved December 15, 2008. ↑ "Star Wars Dark Forces – PC". GameRankings. Retrieved December 30, 2008. ↑ Dulin, Ron (May 1, 1996). "Star Wars Dark Forces Review". GameSpot. Archived from the original on October 18, 2012. Retrieved October 20, 2013. ↑ Boulding, Aaron (November 19, 2002). "Star Wars Jedi Knight II: Jedi Outcast Xbox review". IGN. Retrieved March 3, 2017. ↑ "Star Wars Jedi Knight: Jedi Academy Designer Diary #1". GameSpot. August 25, 2003. Retrieved April 26, 2016. ↑ Schedeen, Jesse (August 12, 2008). "Top 25 Star Wars Heroes: Day 2". IGN. Retrieved March 3, 2017. ↑ "Star Wars: Dark Forces". MobyGames. Retrieved March 3, 2017. ↑ "Katarn, Kyle". StarWars.com. Archived from the original on September 12, 2011. Retrieved March 3, 2017. ↑ Kharpal, Arjun (August 31, 2017). "Lenovo, Disney launch 'Star Wars' Jedi augmented reality game that lets you use a Lightsaber". CNBC. Retrieved September 27, 2018. ↑ "How Jedi Challenges Brings Star Wars to Life at Home". StarWars.com. November 3, 2017. Retrieved September 27, 2018. ↑ "Zynga Partners With Disney For New 'Star Wars' Games". Variety. August 21, 2018. Retrieved September 2, 2018. ↑ "Pandora – The World of Avatar to Open May 27, Star Wars Lands Coming in 2019 - The Walt Disney Company". The Walt Disney Company. February 7, 2017. Archived from the original on February 9, 2017. Retrieved February 8, 2017. ↑ Fashingbauer Cooper, Gael (July 16, 2017). "Disney's Star Wars land named Galaxy's Edge, includes resort". CNET. Archived from the original on July 16, 2017. Retrieved July 20, 2017. ↑ "Star Wars: The Force Unleashed". StarWars.com. Retrieved September 26, 2018. ↑ "The Force Unleashed Sells 1.5 Million Units Worldwide in Under One Week". StarWars.com. September 23, 2008. Archived from the original on April 2, 2009. Retrieved March 15, 2017. ↑ Nina Chertoff and Susan Kahn, "Star Wars", Celebrating Pez (Sterling Publishing Company, Inc., 2006), 87. ↑ "Lego gets Lord Of The Rings and Hobbit licence". Metro. ↑ Link Voxx. "Star Wars Episode 7 News - New LEGO Star Wars Mini-Series Retelling the Whole Saga Coming to DisneyXD". Star Wars Episode 7 News. Archived from the original on August 19, 2015. Retrieved January 19, 2017. ↑ LucasArts (March 2, 2006). "LEGO Star Wars II: Developer Diary". IGN. IGN Entertainment. Retrieved September 3, 2018. ↑ Kohler, Chris (May 15, 2009). "April 2009's Top 10 Game Sales, By Platform". Wired. Retrieved September 3, 2018. ↑ "Star Wars Clone Wars Edition". Hasbro. Retrieved March 23, 2009. ↑ "Risk Star Wars: The Original Trilogy Edition". Board game geek. Retrieved March 23, 2009. ↑ "Star Wars Trading Cards". Starwarscards.net. Retrieved March 27, 2008. ↑ "Star Wars Promotional Trading Card List". The Star Wars Collectors Archive. Retrieved March 28, 2008. ↑ Empire of Dreams: The Story of the Star Wars Trilogy (DVD). Star Wars Trilogy Box Set DVD documentary. 2004. ↑ The Force Is With Them: The Legacy of Star Wars. Star Wars Original Trilogy DVD Box Set: Bonus Materials. 2004. ↑ Rees Shapiro, T. (March 5, 2012). "Ralph McQuarrie, artist who drew Darth Vader, C-3PO, dies at 82". The Washington Post. Retrieved October 2, 2018. ↑ Gilbey, Ryan (November 1, 2017). "John Mollo obituary: Star Wars costume designer who dressed Darth Vader". The Guardian. Retrieved October 2, 2018. 1 2 Empire of Dreams: The Story of the Star Wars Trilogy (documentary). 2004. 1 2 Reagin, Nancy R.; Liedl, Janice (October 15, 2012). Star Wars and History. p. 144. ISBN 9781118285251. Retrieved August 30, 2013. ↑ Christopher Klein. "The Real History That Inspired "Star Wars"". HISTORY.com. ↑ "Star Wars: Attack of the Clones". Time. April 21, 2002. Archived from the original on June 5, 2002. Retrieved December 13, 2009. The people give their democracy to a dictator, whether it's Julius Caesar or Napoleon or Adolf Hitler. Ultimately, the general population goes along with the idea ... That's the issue I've been exploring: how did the Republic turn into the Empire? ↑ Reagin, Nancy R.; Liedl, Janice (October 15, 2012). Star Wars and History. p. 32. ISBN 9781118285251. Retrieved August 30, 2013. ↑ Reagin, Nancy R.; Liedl, Janice (October 15, 2012). Star Wars and History. p. 341. ISBN 9781118285251. Retrieved August 30, 2013. ↑ Reagin, Nancy R.; Liedl, Janice (October 15, 2012). Star Wars and History. pp. 130–33. ISBN 9781118285251. Retrieved August 30, 2013. ↑ ""Star Wars" offers perspective into ancient history". University of Tennessee at Chattanooga. November 5, 2012. Archived from the original on November 23, 2015. Retrieved November 12, 2018. ↑ Danesi, Marcel (2012). Popular Culture: Introductory Perspectives. Rowman & Littlefield. pp. 165–. ISBN 978-1-4422-1783-6. ↑ Brooker, Will (2002). Using the Force: Creativity, Community, and Star Wars Fans. New York [u.a. ]: Continuum. ISBN 978-0-8264-5287-0. ↑ "The power of the dark side". Chicago Tribune. May 8, 2005. Archived from the original on May 22, 2011. Retrieved June 13, 2016. 1 2 Emerson, Jim (2007). "How Star Wars Shook The World". MSN Movies. Archived from the original on June 3, 2008. Retrieved December 1, 2015. 1 2 "Online NewsHour: The Impact of the Star Wars Trilogy Films – May 19, 2005". Web.archive.org. Archived from the original on November 17, 2007. Retrieved June 13, 2016. ↑ Booker, M. Keith; Thomas, Anne-Marie (March 30, 2009). The Science Fiction Handbook. John Wiley & Sons. pp. 9–11. ISBN 978-1-4443-1035-1. ↑ "U.S. National Film Registry Titles". U.S. National Film Registry. Archived from the original on August 21, 2006. Retrieved September 2, 2006. ↑ "'Empire Strikes Back' among 25 film registry picks". Retrieved December 28, 2010. ↑ Barnes, Mike (December 28, 2010). "'Empire Strikes Back,' 'Airplane!' Among 25 Movies Named to National Film Registry". The Hollywood Reporter. Retrieved December 28, 2010. ↑ Andrews, Mallory (July 21, 2014). "A 'New' New Hope: Film Preservation and the Problem with 'Star Wars'". soundonsight.org. Sound on Sight. Retrieved July 27, 2014. the NFR does not possess workable copies of the original versions…Government-mandated agencies such as the National Film Registry are unable to preserve (or even possess) working copies of the films on their list without the consent of the author and/or copyright holder. ↑ "Request Denied: Lucas Refuses to Co-Operate with Government Film Preservation Organizations". savestarwars.com. Saving Star Wars. 2011. Retrieved July 27, 2014. When the request was made for STAR WARS, Lucasfilm offered us the Special Edition version. The offer was declined as this was obviously not the version that had been selected for the Registry. ↑ Ulanoff, Lance (December 17, 2015). "The search for the 'Star Wars' George Lucas doesn't want you to see". Mashable. Retrieved October 12, 2016. 1 2 Cook, David A. (2000). Lost Illusions: American Cinema in the Shadow of Watergate and Vietnam, 1970–1979 (1st paperback print. ed.). Berkeley: University of California Press. ISBN 978-0-520-23265-5. ↑ Bigsby, Christopher (2006). The Cambridge Companion to Modern American Culture ([Online-Ausg.]. ed.). Cambridge: Cambridge University Press. ISBN 978-0-521-84132-0. ↑ "Filmmaker Kevin Smith Hosts 'The Official Star Wars Fan Film Awards' on SCI FI Channel; George Lucas to Present Special Honor". Business Wire. April 23, 2002. Retrieved March 28, 2008. ↑ Knapton, Sarah (April 7, 2008). "Court to rule in Star Wars costume battle". The Guardian. UK. Retrieved April 15, 2008. ↑ "Multiliterate Star Warians : the force of popular culture and ICT in early learning". Maynooth University LibrarySearch. December 1, 2011. Retrieved November 9, 2017. ↑ "The science of Star Wars: Integrating technology and the Benchmarks for Science Literacy". Maynooth University LibrarySearch. November 1, 2006. Retrieved November 9, 2017. ↑ Friedman, Susan Hatters; Hall, Ryan C. W. (December 1, 2015). "Teaching Psychopathology in a Galaxy Far, Far Away: The Light Side of the Force". Academic Psychiatry. 39 (6): 719–725. doi:10.1007/s40596-015-0340-y. ISSN 1042-9670. PMID 25933645. ↑ Hall, Ryan C. W.; Friedman, Susan Hatters (December 1, 2015). "Psychopathology in a Galaxy Far, Far Away: the Use of Star Wars' Dark Side in Teaching". Academic Psychiatry. 39 (6): 726–732. doi:10.1007/s40596-015-0337-6. ISSN 1042-9670. PMID 25943902. Arnold, Alan (1980). Once Upon a Galaxy: A Journal of the Making of The Empire Strikes Back. Ballantine Books. ISBN 978-0-345-29075-5. Bouzereau, Laurent (1997). The Annotated Screenplays. Del Rey. ISBN 978-0-345-40981-2. Kaminski, Michael (2008) . The Secret History of Star Wars. Legacy Books Press. ISBN 978-0-9784652-3-0. Rinzler, Jonathan W. (2005). The Making of Star Wars, Episode III – Revenge of the Sith. Del Rey. ISBN 978-0-345-43139-4. ——— (2007). The Making of Star Wars: The Definitive Story Behind the Original Film (Star Wars). Del Rey. ISBN 978-0-345-49476-4. Decker, Kevin S. (2005). Star Wars and Philosophy. Open Court. ISBN 978-0-8126-9583-0. Campbell, Joseph (1991). The Power of Myth. Anchor. ISBN 978-0-385-41886-7. Henderson, Mary (1997). Star Wars: The Magic of Myth. Bantam. ISBN 978-0-553-10206-2. Cavlelos, Jeanne (1999). The Science of Star Wars. St. Martin's Press. ISBN 978-0-312-20958-2. Nancy R. Reagin, Janice Liedl, ed. (2012). Star Wars and History. John Wiley & Sons. ISBN 978-0-470-60200-3. National Geographic Society (October 2005). Star Wars: Where Science Meets Imagination. National Geographic & Boston Museum of Science. ISBN 978-0-7922-4183-6. Wikivoyage has a travel guide for Star Wars tourism.